We partnered with other U.S. and Mexican scientists in the Sea of Cortez to conduct research at 12 different sites, spanning a distance of over 500 miles. 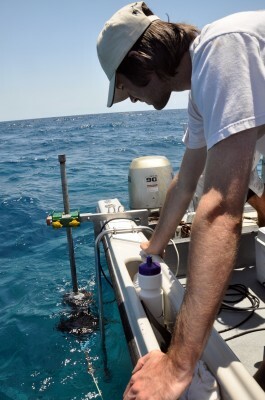 The team collected and partially processed fungi, soft coral, and sediment samples in an ongoing search for natural products made from marine organisms. We conducted extensive mapping of local reefs for an area of over 41,000 hectares - the largest analysis of its kind ever performed in the U.S. Virgin Islands - to develop baseline data of reef systems. 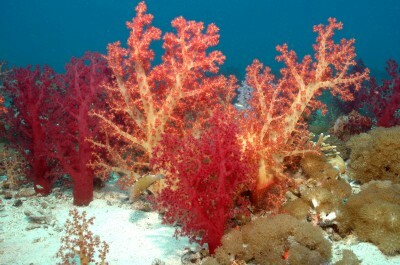 The project led to the discovery of new reefs that were previously unknown. We launched our fellowship program. The Khaled bin Sultan Living Oceans Foundation sponsors fellowships for graduate students and post-doctoral researchers conducting applied research that will contribute to improved management and conservation of coral reef resources and habitats. Fellows receive $35,000 and may receive up to four continuous years of financial support based upon annual competitive reapplication. In September, 2003, we collaborated with the U.S. Geological Survey, National Fish Health Research Laboratory to support the Second Bilateral Conference on Health and Diseases of Aquatic Organisms, a project of our Science Without Borders program. The conference is part of a collaboration between Russia and the United States that emphasizes environmental conservation and protection. 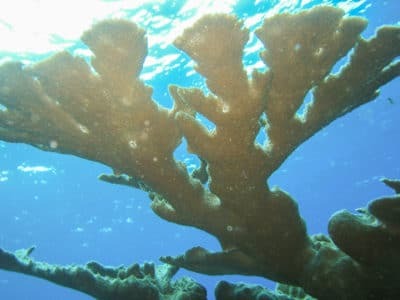 We partnered with the Bermuda Institute of Ocean Sciences to establish a coral ecotoxicology laboratory facility for research examining the toxicity of pollutants or altered environmental conditions. 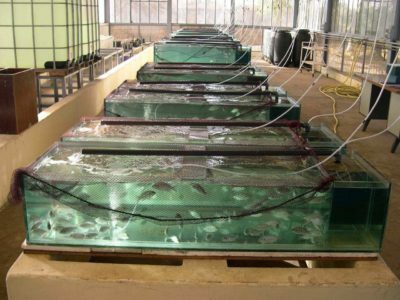 We created The Khaled bin Sultan Living Oceans Foundation Laboratory of Aquatic Animal Health at the University of Cheikh Anta DIOP in Dakar, Senegal. It has the specific purpose of benefiting Senegal’s fishing industry, which struggles with sustainability and disease. Project scientists provided daily reports of observations and operations during a three week expedition to the southern Seychelles. The information was delivered in near-real time to raise marine environmental awareness within schools and excite students about careers in science. Following the devastating “Boxing Day” Indian Ocean earthquake and tsunami, we joined a collaborative effort launched by the International Coral Reef Initiative to conduct surveys and compile a report on the post-tsunami status of coral reefs in affected countries. During our research in the vicinity of the Farasan Islands Marine Protected Area, our multi-national science team provided ‘live’ daily reports of our scientific observations and operational activities during the expedition. 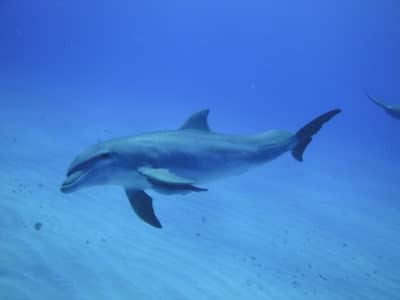 This project supported the Bahamian government’s decision-making process to select new areas for marine reserves in their territorial waters. 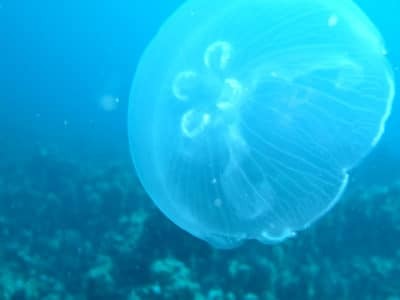 The study analyzed previously collected data on the biodiversity and fisheries habitats in Bahamian waters, and the impacts of hurricanes and climate change. The Khaled Bin Sultan Living Oceans Foundation conducted six live “underwater classrooms” at NOAA’s Aquarius habitat, an underwater laboratory situated in sixty two feet of water and located 9 miles off the coast of Key Largo in the Florida Keys. We mapped and characterized coral reefs east of Ras Qisbah, focusing on marine habitats around the islands of Al Farshah, Umm Qusur and Buran in the northern corner of the Red Sea. 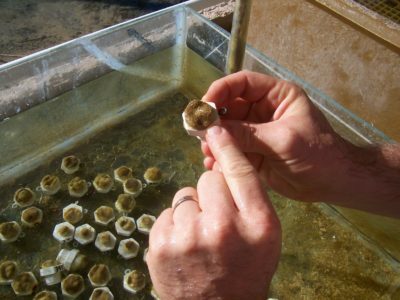 The research is one component of a large scale marine habitat assessment being completed along the Saudi Arabian Red Sea coastline. Focusing on the Yanbu Barrier Reef and Al Wajh Bank area of the north Red Sea in this collaborative expedition we mapped and characterized shallow marine habitats and the health and resilience of these ecosystems. We also created habitat maps from satellite imagery and conducted SCUBA surveys of reef life and bottom habitats. 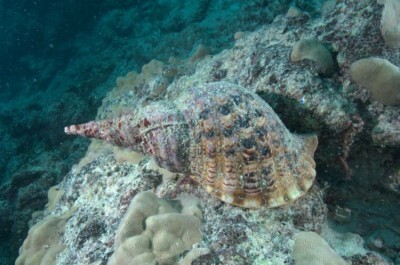 The fourth research expedition to the Red Sea coast of Saudi Arabia took place at Farasan Banks, an area that had not been scientifically surveyed since Jacques Cousteau visited the area in the 1950s. Our research focused on habitat mapping, underwater surveys of reef life, and a health examination of the reef. For over 30 years, Russia and the United States have cooperated in the area of environmental conservation and protection. 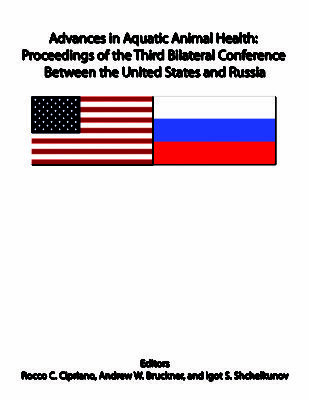 In July 2009, the Third Bilateral Conference on Shared Perspectives in Animal Health took place in Shepherdstown, West Virginia, and included a special session on coral disease. In partnership with NOAA and George Mason University, Dr. Andy Bruckner delivered a workshop that included classroom, laboratory, and in-water training. The emphasis of the course was on the identification of coral diseases, approaches to characterization and quantification of the severity and impacts of a disease outbreak, and techniques to sample coral disease and process specimens. This immersive educational program aimed to further Bahamian educators’ understanding of marine environments and coral reefs, in particular. The program covered topics on coral biology, ecology, and local ocean conservation issues, and included field experience. The ten local teachers also earned their PADI AWARE Coral Reef Conservation and PADI Skin Diver certifications. 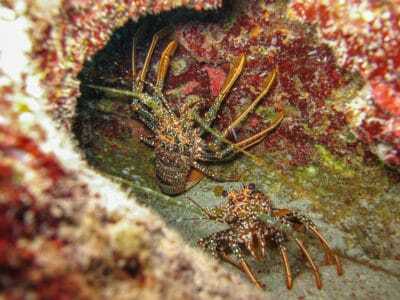 A team of seven marine scientists led by Dr. Andy Buckner surveyed 41 shallow Caribbean reefs located off Little Cayman, Cayman Brac and Grand Cayman. The team surveyed reef health and characterized the ability of these reefs to persist and rebound following impacts associated with climate change. 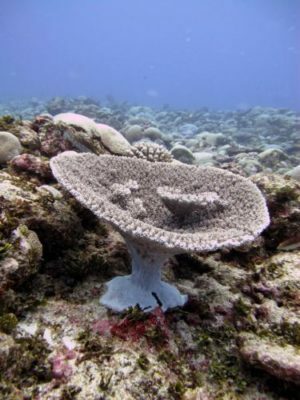 In partnership with NOAA, we conducted a detailed assessment of the condition of coral reefs on the leeward side of Bonaire, which has the reputation for being one of the most environmentally conscious islands in the Caribbean. 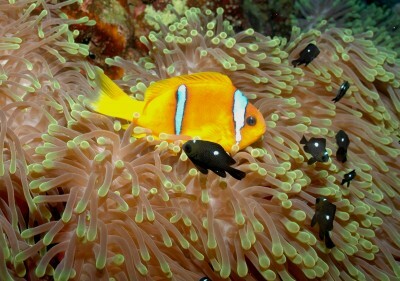 Rapid assessments were carried out to determine the health and resilience of reefs. 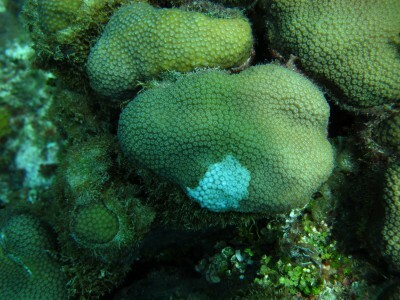 The team found supporting evidence for the claim that Bonaire’s reefs may be the healthiest in the Caribbean today. 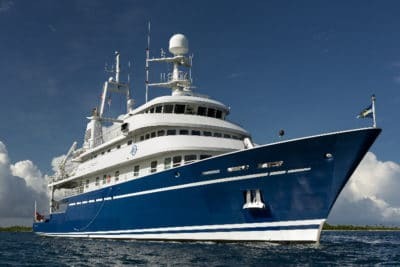 The Global Reef Expedition begins as the Foundation embarks on a five-year mission to circumnavigate the globe, surveying some of the most remote coral reefs on the planet. The primary goals of the Expedition are to map and characterize coral reef ecosystems, identify their current status and major threats, and examine factors that enhance their ability to resist, survive, and recover from major disturbance events. We will also engage in outreach and education efforts to disseminate the knowledge gained and share the results of our work freely with participating countries, and scientific and regulatory organizations. The research team conducted aerial and SCUBA assessments at the southern end of Andros Island and off of Berry Island to determine marine ecosystem structure and diversity. 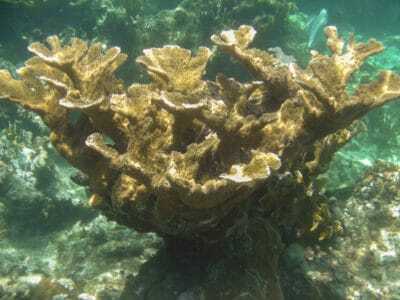 The researchers carried out aerial and SCUBA assessments of coral reef habitats to examine bottom composition and cover, coral population structure and condition, and fish composition, size structure and biomass. The team conducted detailed surveys of coral community structure and health, including photo documentation of habitat features and individual corals. 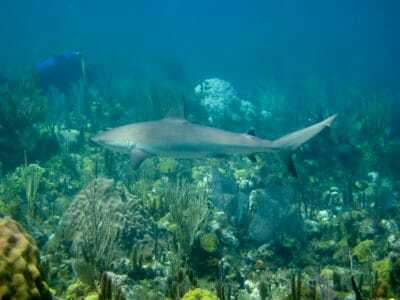 We completed a reef habitat survey of remote Cay Sal bank. 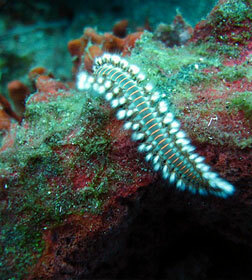 The research team examined the coral reef community composition in 39 locations for a total of 512 dives. 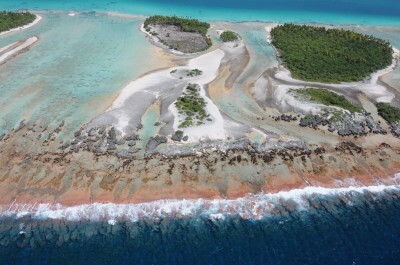 Following on from our research in the Society Islands, we continued with reef assessments round the Tuamotu islands. 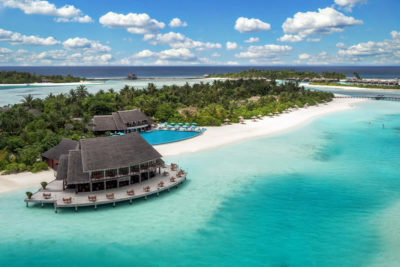 They constitute the largest archipelago in French Polynesia, spanning an area that is similar in size to Western Europe (but with a land area of only about 850 km2), and include 77 of the world’s 425 atolls. We focused on coral assessments of Rangiroa, Aratika, Raraka and Fakarava. We partnered with the University of Miami to assess coral communities throughout the Galapagos archipelago. 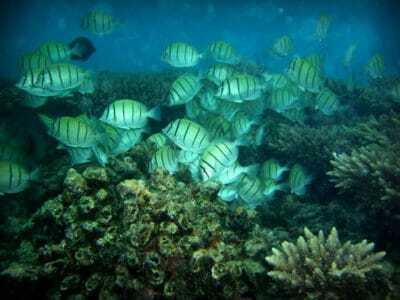 We focused our research on true reef systems round the northern islands of Wolf and Darwin. 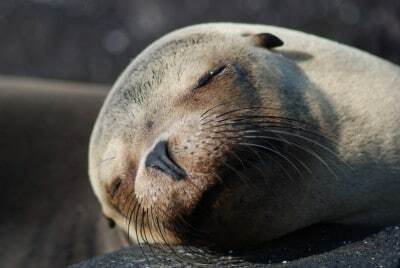 The Galapagos’ unique natural variation in ocean temperature and acidity make them a natural laboratory for studying how climate change may impact corals. We assessed coral communities noting health, diversity and size of fish and benthic species on three distinct zones of the atolls: the reef slope, reef flat, and lagoon. 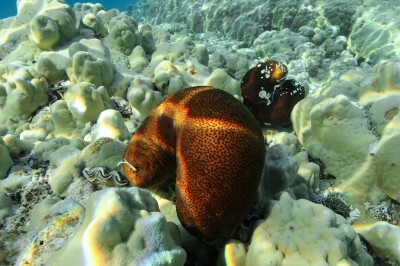 The atolls of the Society Islands comprise complex reef systems typically enclosing deep water lagoons often connected to the open ocean by narrow, treacherous channels. 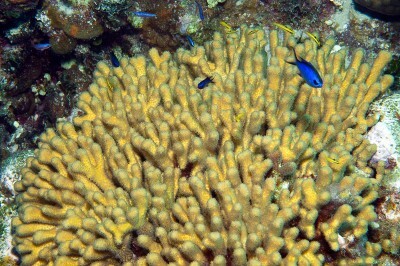 This mission monitored shallow coral plots established in 2006. Researchers assessed coral health, reef fish populations, bottom structure and species composition of reef habitats, as well as conducting a socioeconomic assessment of reef fish fisheries. We assessed coral health, bottom composition and cover, and conch populations in Bajo Nuevo and Seranilla, some of the most remote reefs in the entire Caribbean. We partnered with The Nature Conservancy to conduct a reef assessment to support the Jamaican government’s decision-making process. 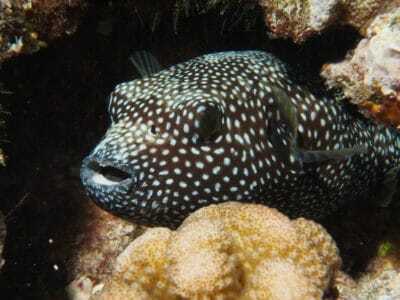 This led to the establishment of Jamaica’s first no-take fish sanctuary on Pedro Bank, Jamaica. We have been conducting reef assessments in the Gambier group of islands which are a collection of extinct high volcanic islands more than 1,600 km southeast of Tahiti. For twelve days of this mission, the scientists characterized the complex reef systems of Mangareva, an archipelago located in the southern hemisphere where the climate is tropical, but tempered by southeast trade winds. 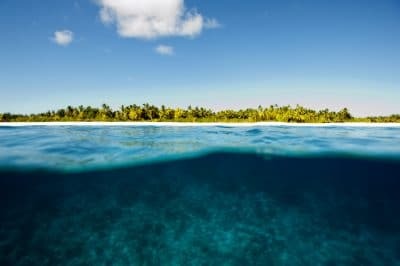 The Living Oceans Foundation conducts research missions in the Austral Islands, the southernmost group of islands in French Polynesia. 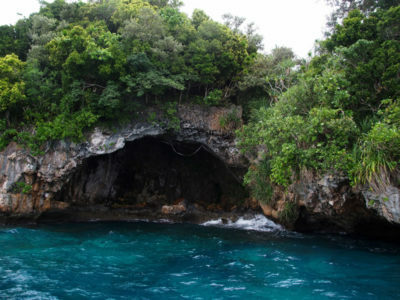 The islands are comprised of two different archipelagos: the Tubuai Islands and the Bass Islands. The Living Oceans Foundation conducted research missions in the Cook Islands and our scientists worked alongside researchers from the Ministry of Marine Resources, members of the Cook Islands Marine Park Steering Committee, and the Te Ipukarea Society. Together they used satellite imagery and ground observations to identify and characterize the various marine habitats to create high resolution habitat maps. Our researchers also focused on the health of these ecosystems hoping to identify threats affecting the reefs, as well as the extent of degradation and resilience to stressors such as ocean acidification and infestations of destructive crown of thorns starfish. During the month of June 2013, the Global Reef Expedition began conducting coral reef surveys in and around the Fiji Islands. 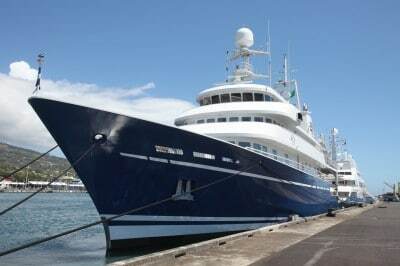 All of the research was staged from the research vessel M/Y Golden Shadow and lasted approximately 30 days. The full science team visited sites in Moala, Totoya, Matuka, Cicia, Tuvuca,Vanuabalavu, Mago, Vanua vatu, Nayau, Fulaga, and Kabara. The high priority research sites listed were identified by the Lau Provincial Office. All of the data and data products developed through this program, including high resolution satellite imagery and habitat maps, will be given to the Lau Provincial Office and relevant Ministries in Fiji and non-governmental offices working on coral conservation initiatives. Our research in Tonga will fill major gaps in understanding. 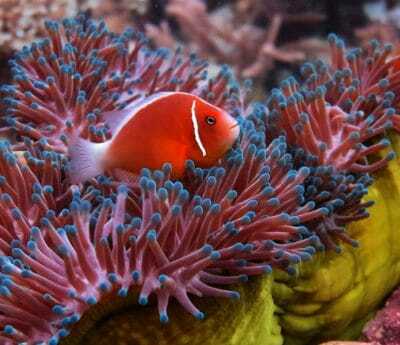 These reef communities have been poorly studied, with exception of a few locations near more populated islands. 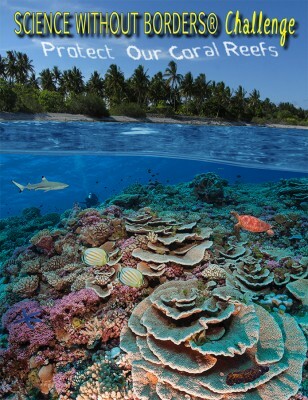 Coral reefs in Tonga are reported to have been impacted by multiple threats, including large scale disturbances such as tropical cyclones, crown-of-thorns starfish outbreaks, sea-level fluctuations associated with El Niño events, and a bleaching event in 2000. 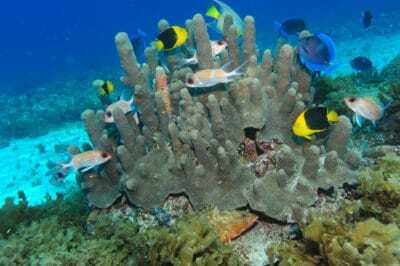 Reefs near populated areas have also been confronted by major anthropogenic threats since the 1980s, including overexploitation of natural resources, destructive fishing practices, siltation and runoff resulting from rapid urbanization and human population growth. 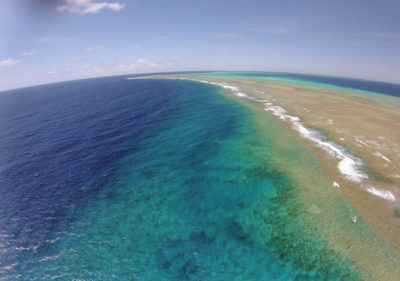 The Living Oceans Foundation is conducting research in New Caledonia in November 2013 and will continue to use the reef research methodology that has been used across the South Pacific in 2013. 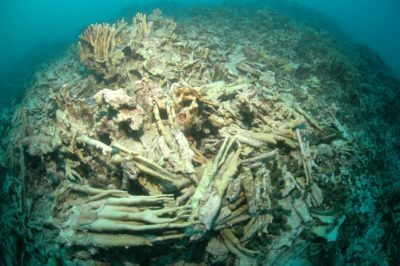 The research is being conducted in conjunction with L’Institut de recherche pour le développement (IRD) and the National Coral Reef Institute in Florida. We will be conducting reef assessments and creating GIS databases containing satellite imagery, habitat maps, bathymetric maps, and photographed transects that document coral reef communities and coral reef data. The Science without Borders® Challenge, an international art competition for primary and secondary school students, is created to get students and teachers interested in ocean conservation through various forms of art. The Challenge engages students to promote the need to preserve, protect, and restore the world's oceans and aquatic resources, and inspires them to be creative while learning about important ocean conservation issues. The Foundation launches the Tonga Coral Reef Education and Outreach program aimed at Tongan schools, communities, tourists, and government officials through out the Ha’apai and Vava’u island groups. The program is designed to collaborate with local Tongan communities to fill knowledge gaps and provide information to help them protect their resources while providing the Foundation's science team the opportunity to acquire local knowledge from those actually using the resources. 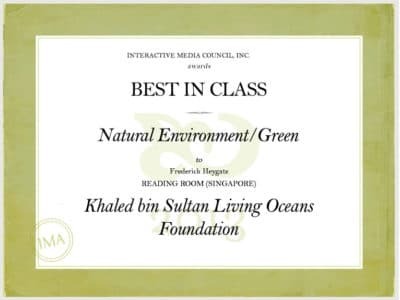 The Foundation's new website wins 'Best in Class' at the Interactive Media Awards in the category 'Natural Environment/Green.' The Best in Class award is the highest honor bestowed by the IMA and it represents the very best in planning, execution and overall professionalism -- an achievement only a fraction of sites in the IMA competition earn each year. The Foundation launches its World Web GIS Map Viewer, a continually growing web map interface comprised of benthic habitat and bathymetric datasets collected during the various research expeditions around the globe. The map viewer makes detailed habitat and bathymetry data readily available to the global scientific community via the internet. The 2012 Recipient of the Perseus Award is His Royal Highness Prince Khaled bin Sultan of the Kingdom of Saudi Arabia, the chairman and founder of the Khaled bin Sultan Living Oceans Foundation. 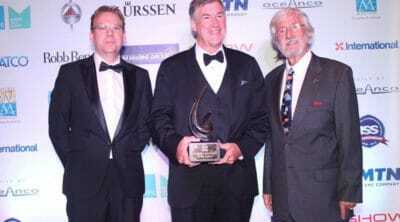 The Perseus Award was created in 2010 to recognize yacht owners who have demonstrated exemplary effort and contribution toward marine wildlife conservation and to encourage luxury yacht owners to take a greater role in conserving our marine heritage given their privileged and intimate relationship with the ocean. The Khaled bin Sultan Living Oceans Foundation and its founder, His Royal Highness Prince Khaled bin Sultan of Saudi Arabia, have been awarded a Peter Benchley award for Excellence in Ocean Exploration. 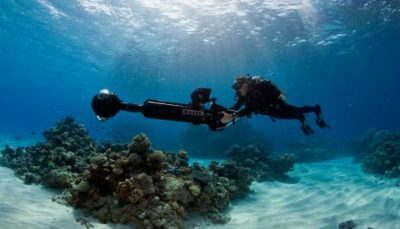 The award recognizes their work exploring and creating first-ever detailed maps of some of the world’s most remote coral reef systems. Their goal is to provide science-based solutions that will empower people to keep ocean resources healthy and sustainable. The Living Oceans Foundation Global Reef Expedition returns to Tonga to conduct land-based research, as a follow-up to their earlier visit here in the Fall of 2013, with three main goals in mind: (1) To better understand how the coral reef resources surveyed during the last Tonga mission are being used by the people of Tonga; (2) to promote primary and secondary coral reef and ocean conservation education throughout the main Vava’u Island chain; (3) to begin work on a documentary film about the many ways people rely on the reef here. In August 2014, the Foundation teamed up with endurance swimmer Lewis Pugh to complete seven long-distance swims in under a month. He is the United Nation’s Patron of the Ocean, and the goal of the challenge was to highlight the need for more Marine Protected Areas in order to conserve the ocean for future generations. Lewis set out to complete the first long distance swim in all the Seven Seas, the Mediterranean, the Adriatic, the Aegean, the Black, the Red, the Arabian and finally the North Sea. The Living Oceans Foundation Global Reef Expedition visits The Great Barrier Reef, the largest living thing on the planet, and home to one of the best managed marine parks in the world. The Foundation's research here focuses on identifying differences in reef health and fish population between the various fishing, no-take, and no-entry zones of the park to provide answers about the effectiveness of the zones, the role of top predators like sharks, and get a baseline of the reefs in the northern region in parts where the Australian government has recently proposed agriculture development. 2014 - 'Mapping the Blue' Wins Film Award at BLUE! 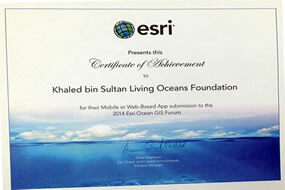 The Living Oceans Foundation World Web GIS Map Viewer wins 1st place in the Maps and Apps Gallery for electronic submissions at the 2014 ESRI Ocean Forum, held in Redlands, CA November 5-7, 2014. 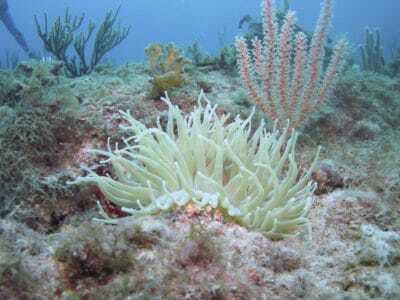 The submission was for the World Reef Map, which is a continually growing web map interface comprised of benthic habitat and bathymetric datasets. 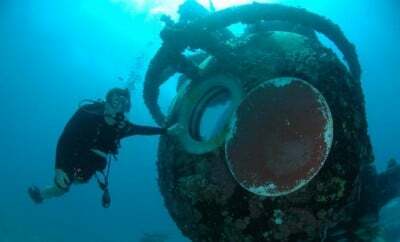 The Living Ocean Foundation Global Reef Expedition concludes its 2014 research mission schedule in the Solomon Islands. Research here contains four main components: (1) To collect detailed information about what lives on the reef; (2) To acquire high-resolution 360- degree panoramic imagery of the reefs via our partnership with Catlin Seaview Survey; (3) To make high resolution habitat maps of shallow marine areas round the islands; and (4) To measure what is stressing the coral and how resilient the coral is to those stresses. During this research mission we are working with Oceanwatch, a local NGO that has successfully created community based MPAs in the Solomon Islands. 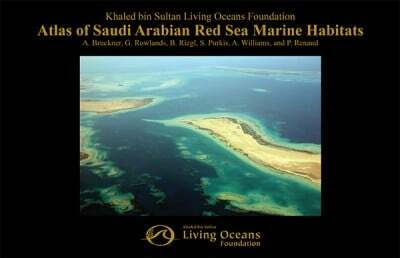 In 2005 the Foundation first started mapping offshore reefs in the Saudi Arabian Red Sea. After working years to collect data about the shape, structure, and species that make up these reefs and transform it into detailed reef maps, this year we finally published the first ever atlas of these Red Sea reefs. We’ve been doing this because understanding the quality and distribution of coral reefs is the starting point for their conservation. 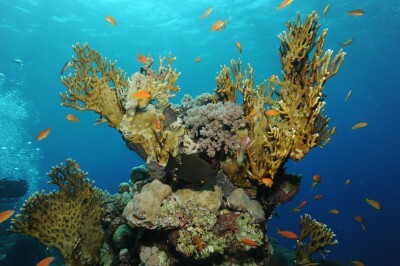 Our research in the Red Sea has revealed that these reefs are among the most complex in the world. The Foundation launches a year-long hands-on mangrove restoration project in Jamaica called the Jamaica Awareness of Mangroves In Nature (J.A.M.I.N.) project. 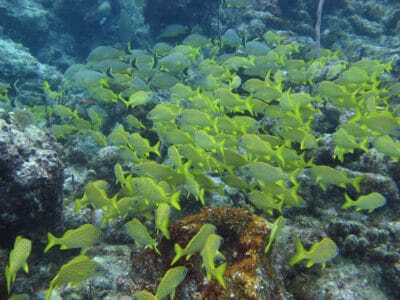 The venture, joined with the University of the West Indies-Discovery Bay Marine Laboratory and the Caribbean Student Environmental Alliance, will work with teachers and students from local high schools in Falmouth, Jamaica. 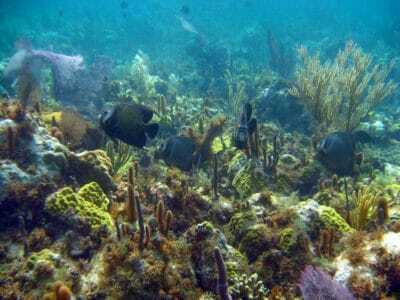 The project will provide students and teachers with information and materials about the importance of mangroves for Jamaican marine ecosystems. The Living Oceans Foundation Global Reef Expedition kicks off 2015 in Palau, visiting many of the country's reefs including the Rock Islands Southern Lagoon, a UNESCO World Heritage site. 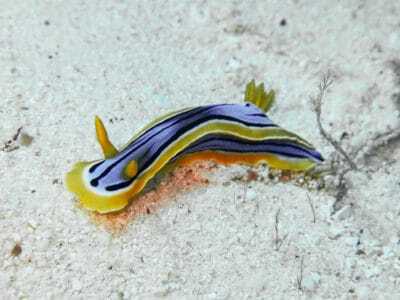 The purpose of the research here is to obtain detailed information about the health and state of the reefs through various survey and data collection methods. The science team will also compare marine protected areas with non-protected areas to evaluate marine management strategies. The result will be a detailed scientific report for local communities, agencies, and relevant stakeholders in the region to help with ongoing management and conservation of Palau’s coral reefs. Our second research mission of 2015 takes the Global Reef Expedition to the British Indian Ocean Territory (BIOT), a small island chain in the Indian Ocean and home to some of the most remote, and pristine, coral reefs on Earth – 95% of which have yet to be explored. Our work here consists of coral reef surveys and high resolution mapping of reefs in the Chagos archipelago, all of which are part of the Chagos Marine Reserve, the largest no-take marine protected area on earth. Representatives from Woods Hole Oceanographic Institution (WHOI), Nova Southeastern University, and the Chagos Conservation Trust will join our core science team on this mission. 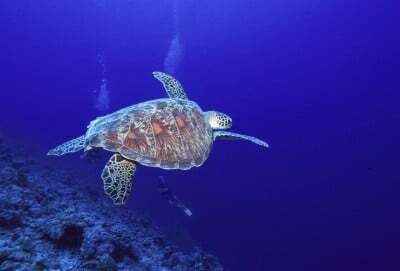 In 2011, scientists and divers from the Khaled bin Sultan Living Oceans Foundation, Bahamas National Trust, the Department of Marine Resources, The Nature Conservancy, the National Coral Reef Institute, and the Atlantic and Gulf Rapid Reef Assessment Program joined forces to complete comprehensive scientific surveys of Bahamian reefs. 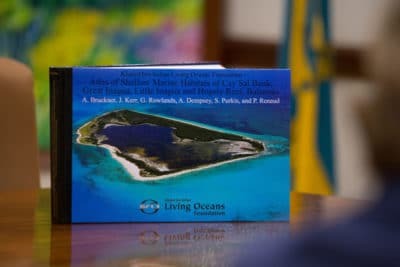 -- In June 2015, the Foundation, along with the Bahamas National Trust (BNT), presented a new Bahamas Underwater Atlas to the Prime Minister of The Bahamas and the Minister of State for Investments. The Foundation launches the SCAR program (Starfish Control and Removal) to expand scientific understanding of COTS, mitigate damage through large-scale COTS removal efforts, and educate local communities, dive operators, resource management agencies and tourists in affected countries on the ecology of these starfish and techniques to control outbreaks. The program pilots in Aitutaki, Cook Islands to mitigate the impacts of a large-scale COTS outbreak there. LOF Education launches the Bahamian Awareness of Mangroves (or B.A.M. for short), a new program to support mangrove education and restoration in The Bahamas. The B.A.M. program provides classrooms with lesson plans and activities as well as providing the opportunity for to experience the mangrove ecosystem first-hand and help restore it. During the project, students grow mangrove propagules in their classroom that they then study and plant in a local mangrove forest at the end of the school year. The Foundation launches a novel partnership with resorts and recreational divers to protect reefs from destructive starfish. 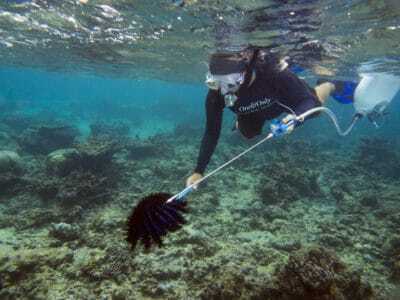 During the months of October and November, the Foundation worked in the Maldives to remove Crown of Thorns Starfish (COTS) and invited certified SCUBA divers to participate in the effort as part of the Foundation's ongoing Starfish Control and Removal (SCAR) Program designed to protect reefs from the damaging effects of the coral-eating starfish. Oceanco and Jean-Michael Cousteau present the Fabien Cousteau Blue Award to Living Oceans Foundation at the 25th Anniversary International Superyacht Society (ISS) Design and Leadership Awards ceremony. In much the same spirit as Living Oceans’ educational outreach program, Oceanco has long been a proponent of raising awareness for the need to preserve the world’s oceans through research, education, and implementation of best practices. The new film produced by the Foundation, Sharks of the Coral Canyon (aired as Mysteries of the Coral Canyon on PBS) wins the Suncoast Emmy® Award for Best Environment Program of 2015. 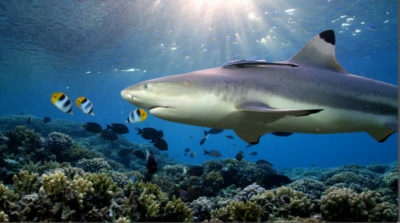 Winner of 6 other awards as well, the film tells the story of how sharks and coral reefs are intricately linked and uncovers how two of the most threatened groups of animals in the ocean, corals and sharks, depend on one another, and must be protected together if either of them is to survive into the future. The Foundation publishes the first in a series of interactive online marine atlases, beginning with the interactive version of the Atlas of Saudi Arabian Marine Habitats. The Interactive Red Sea Atlas is an online interactive digital publication that can be viewed on any desktop or mobile device and browsed as though reading a book. The publication was created using state-of-the-art digital publishing software to integrate the electronic version of the hardcopy atlas, the KSLOF World Web Map online interactive habitat mapping application, and KSLOF website content relevant to the Foundation's four-year effort in the Saudi Arabian Red Sea. The Khaled bin Sultan Living Oceans Foundation launches the coral reef Education Portal! This custom-built online platform contains a comprehensive coral reef curriculum complete with lesson plans, quizzes, educational videos, interactives, and games designed to educate people about life on coral reefs. This award-winning educational resource is free to anyone with an internet connection. The Foundation celebrates World Oceans Day 2016 at our 3rd annual film screening. This year, it is the Coral Reefs: Trouble in Paradise film premiere about coral bleaching in the Chagos Archipelago, a remote island chain in the middle of the Indian Ocean. The showing is followed by a Q&A with the filmmaker and scientists, a special report on the ongoing global coral bleaching event, and a plastic-free reception. Embodying our motto Science Without Borders®, the Khaled bin Sultan Living Oceans Foundation supported the efforts of the UNESCO World Heritage Centre Marine Programme to identify ways in which World Heritage status could be used to protect outstanding places on the High Seas. This project resulted in the publication of World Heritage in the High Seas: An Idea Whose Time has Come, a report by UNESCO and IUCN that proposes multiple ways in which World Heritage status could be used to protect places on the High Seas. 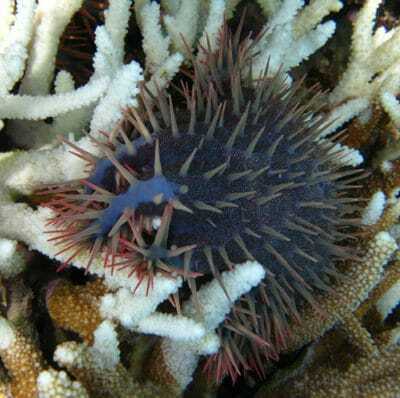 In recent years, crown-of-thorns starfish (COTS) outbreaks have increased in scale and frequency, causing marine resource managers and scientists to take action. 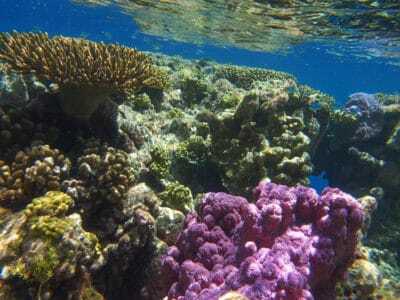 The Khaled bin Sultan Living Oceans Foundation (KSLOF) has come across several COTS infested reefs throughout the Global Reef Expedition in the Indo-Pacific. After using a variety of different methods for collecting and disposing of COTS on our missions, we developed a list of COTS Best Management Practices for the resource management and scientific community at-large. After a successful first year of the Bahamas Awareness of Mangroves (B.A.M.) Program, the Foundation expands the mangrove education and restoration program to offer a second year program. The BAM Year-2 program focuses on monitoring and managing mangroves through project-based learning, building upon the knowledge they learned in the previous year to learn how to manage this important ecosystem. 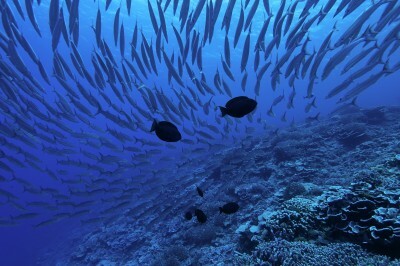 The Foundation works with the International Union for Conservation of Nature (IUCN) to inform marine spatial planning in Fiji, Tonga, and the Solomon Islands using data collected on the Global Reef Expedition. IUCN’s Oceania Regional Office has been working with countries to implement marine spatial planning as part of their Marine and Coastal Biodiversity Management in Pacific Island Countries (MACBIO) project. The Foundation is sharing all of the data we collected during the GRE in these countries. Our research is helping to fill critical gaps in knowledge in these remote areas that are now being integrated into MACBIO’s South Pacific marine spatial planning processes. 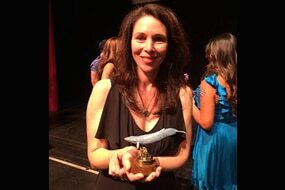 'Mapping the Blue' Wins Film Award at BLUE!